There are so many misconceptions about the rich and how they live, talk of crooked expectations. How do we think the rich got where they are in the first place? It may seem rather obvious that building wealth calls for prioritising one's life and setting certain principles. Except, the not so rich would like to believe that the rich were born that way. Then the craziness in their imagination runs wild; forcing them to run their own lives in a way that may make them look rich. The sadness of craving unwarranted respect. Why the Rich are Rich and you are not. 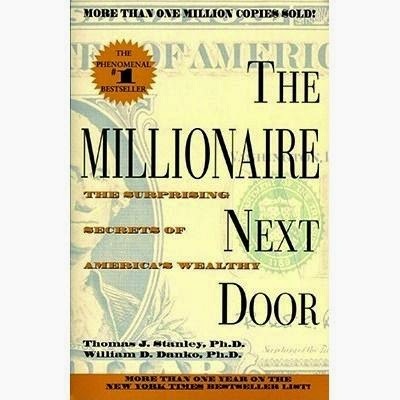 A few years back I bought and read a book written by Professors William Danko and Thomas Stanley entitled, The Millionaire Next Door: Surprising Secrets of America’s Wealthy. I can safely say, I have never read a better researched and written personal finance book. It just opens your eyes to the realities of wealth building. The truth is that, people who try hard to look and act rich are nowhere close to being rich. They may be earning extremely high incomes which translate to anything but wealth. The inflated lifestyle that is meant to be a show off and "proof" that one is wealthy is nothing but a cheap showoff. A million rands in one person's hand stretches further than a million rands in the next person. Of course a lot of people are chasing the next big job, a promotion or higher salary. The irony is that, when they do get the higher income they were chasing after, it never translates to wealth. The reason being that, people want to act rich too soon without acquiring wealth. A new high paying job gets poverty stuck people bigger cars, bigger homes, expensive clothes and higher levels of debt. This is refereed to as lifestyle inflation. Your high income will never translate to wealth if you are keeping up with the Joneses. The rich are not living within their means, responsible middle class lives within their means. The rich live below their means. Living on 90 percent of your income won't cut it. You will never make the time with 10% savings rate. The wealthy continuously build and maintain their wealth living on a fraction of their income. I have a friend who lives on 25% of her income. That is a true story. Always bear in mind that, the most important aspect of building wealth is TIME. The sooner you start the quicker you reach the finish line. I know it may look like a joke but 100% of the people whose finances I worked on didn't have a clue how much the interest rate they pay on any of their debts is. A huge chunk of them did not know how much their total debt is. Most of them did not know how much they spend every month and on what. This is the most miserable fact of all. You will never conquer what you do not know. I am forever startled by how common it is for intelligent people to choose to live in the dark when it comes to their finances. The rich know the details of their net worth and the amount by which it is growing and shrinking. The wealthy are very much focused whilst the not so rich are moving without clear direction. 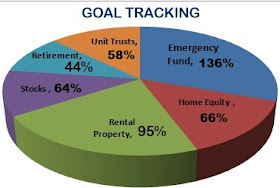 I've had years where my goal was simply to boost our net worth by a million rands or close. That doesn't require a million rands in income but a million rands strategy. When you set goals and run after them, you tend to achieve a lot more than when you have no set strategy. This life requires thorough planning. The wealthy often go on reasonably priced outings, camps, holidays, gaming trips, etc. Contrary to what most believe, the rich don't splash on fancy cars, expensive stuff and costly activities. They often buy used cars that they comfortably afford to buy with no debt. The most popular car make for dollar millionaires is said to be a Toyota. Imagine that! The "not so rich" often show off in fancy German cars and boutique clothes they cannot afford. They would go through 100% of their income and further subsidise it with a credit card. It is ironic. They choose materialism over experiences like travel and activities that make the world a better place. Take note that the amount invested is the same. The longer you wait to start, the higher the amount of money you need to invest. Need I say more? The most unhappy people in this world are the materialistic people, regardless of their income levels. These are the people who want to be seen as higher achievers without being any of that. They will spend millions to give a false impression of what and who they are. The rich are generally financially independent. They have better control of their time. Think about the 45 year old in scenario 1 above. With R15M, you are good to go. The materialistic individual is not even in scenario 2. You too can join the rich. Start today.